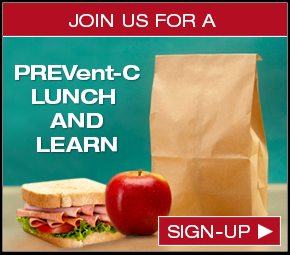 by up to 90 percent with PREVent-C®. Slabs on grade can present challenges with shrinkage, but often it is curling caused by shrinkage that presents the biggest challenge. Concrete is known to be prone to cracking, especially due to drying and autogeneous shrinkage, leading to costly construction mitigation efforts and repairs of slabs and structures. However, our innovative magnesia-based technology, when used as an additive to concrete, has shown up to 90% shrinkage crack reduction across many applications. Its shrinkage reduction properties help to prevent cracking or curling, therefore minimizing water and salt infiltration, reducing required maintenance and repairs, and improving overall concrete durability. Explore your application. You’ll hear back by next business day. PREVent-C® technology was used in the accelerated construction techniques by the Georgia Department of Transportation (DOT) to repair the Interstate 85 bridge, which burned down on March 30, 2017. In a typical scenario when accelerated strength and minimal curing are used, cracking would be visible immediately following the end of curing. On I-85 when the curing was removed, no cracking was observed. PREVent-C® technology was used in building two siphons in the Lind Coulee of the East Columbia Basin Irrigation District to reduce concrete shrinkage cracking by up to 90 percent. How did PREVent-C help avoid placing joints in the concrete during the Cathedral Church of St. Paul in Boston's interior renovations?